I recently participated in an interesting discussion where we looked at talent requirements for parts of the federal government. The discussion was more about availability of talent than about the government’s ability to compete. Most folks who are not hiring officials or working in Human Resources do not often think about the labor market. The common misconception is that if you pay the right level of compensation, you can hire whatever type of person you need. We are finding more and more that it simply is not true. There are a great many types of jobs where supply does not equal demand. That is the reason we see the private sector using programs like H-1B visas to import talent to meet critical demands. It is also what drives wages up in those occupations. The most forward-thinking employers are looking for talent before the people they may hire even think about going into that line of work. It is not uncommon to see some of these employers in schools talking about the work they do in an attempt to motivate young people to enter their line of work. Those employers know that the competition for talent is so fierce that they can succeed only by growing the pool of available talent to meet their needs 5 or 10 years into the future. Those employers also tailor their hiring, training, retention and compensation programs to fit the market. They do not turn away talent because of self-imposed rules that make it difficult or impossible for them to hire the people they need. When I look at how we handle talent management in government, I think we have a problem. It is not that federal managers have no idea of the talent challenges they face. Quite the opposite is true. Talk to federal CIOs and most will tell you that talent management (including hiring) is one of the things that keeps them awake at night. It also is not that federal HR folks do not know what they are facing. The better HR practitioners are worried as well. They know the labor market where they compete for talent, and many believe they go into the talent wars with one hand tied behind their backs and with inadequate tools to compete. The more in-demand the jobs are, the more likely it is that government will struggle to hire who they want. As agencies look at restructuring, they cannot assume that the talent they need, even for a smaller workforce, will be there. They cannot assume that they will be able to hold on to the people they have. In fact, as they downsize the risk of losing critical talent increases. An agency that is shrinking typically finds it has difficulty hiring in general, not just in the types of jobs that might be cut. So – if you are cutting your basket weavers, do not be surprised if you have trouble recruiting for everything else. The halo effect of success has an analogue on the other extreme. The negative feeling from job cuts permeates an organization and makes it less likely people will want to join. We all know that the federal hiring process has its problems. Lots of them. We also know that federal job classification and pay processes are outdated. 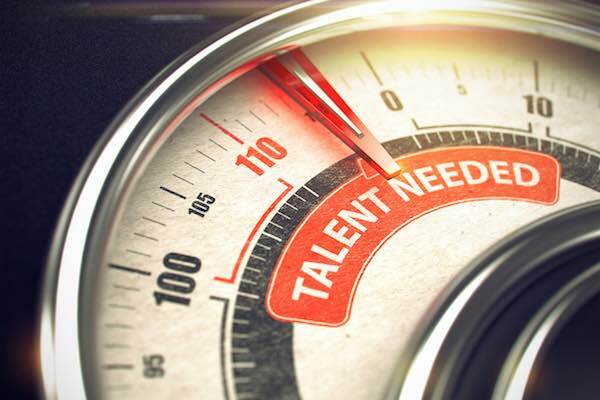 Even though agencies can do the same type of early recruiting and marketing as private sector employers, they do not have the flexibility to tailor hiring and compensation programs to fit the changing demands of the labor market. Add to that the interest in reducing the size of many agencies and the negative comments (mostly ill-informed) about the work done by federal employees, and we have a formula for a talent shortage for federal jobs. Even folks who want to cut government want the Department of Defense and the Department of Homeland Security to have the talent they need to accomplish their missions. Most federal agencies enjoy support from the majority of the U.S. population. We want our government to work, and we want it to have the right people to do the job. That means we need to go much farther than simply reforming federal hiring and compensation. The General Schedule was the solution to a problem in post-World War II America. It worked, but it was not designed to evolve as talent requirements and the labor market changed. We need a legal and regulatory framework that allows agencies to compete for what they need today, and to adapt hiring, training and compensation programs as the labor market changes.